A keyword relevance score enables the marketer to focus first on the keywords that mean the most to his or her bottom line. Nobody has an infinite amount of time to dedicate to search marketing, so relevance is scored throughout WordStream to act as a guide to using your time most effectively. WordStream's keyword software analyzes your keywords and visits generated to assign a "popularity score" to each keyword group as well as to suggest keyword segmentations in order to improve Quality Score. Together, the scores enable you to quickly and easily determine where your efforts will have the most impact. Keyword relevance, or popularity, is a qualitative measure of the importance of a keyword segmentation. Suppose you had 1,000 somewhat-related keywords and you wanted to better organize them by creating smaller, more tightly related keyword groupings. Where would you start? WordStream automatically analyzes any set of keywords and suggests possible keyword segmentations in descending order of importance. The importance of keyword segmentations are based on a weighted average of percentage of total keywords (how often does a particular set of related keywords occur in the set?) and percentage of visits (how much of the total search volume is derived from a set of keywords?). It was created to aid the search marketer to make changes that have the biggest impact. By ranking relevancy, the search marketer is able to optimize his time by focusing on keywords and segments that mean the most to his business. Why sort my keywords based on this ranking? As a marketer, you probably have a good idea what keywords are best for your business. However, after you tackle the obvious ones, it can be hard to figure out where to go next. Keyword relevance is a dynamic statistic that changes daily as more data flows into your WordStream account. When you select a group to segment, WordStream generates the ten most relevant segments that would organize your keywords in the most effective way. Feel free to highlight a suggestion and select "reject" if you don't want to use it--WordStream will automatically recalculate suggestions and give you the next top ten suggestions. If you want to undo a rejection or you hit reject by accident, select "Reset Suggested Segmentations" and your rejections will be ignored and the list will reset. What is the best way to rank keywords? Bid amount and ad text, two of the most important components of search engine marketing, are entirely dependent on keywords with which they're associated. As such, keyword rank plays a crucial role. Keyword importance should be evaluated on two things: how often it's used in your campaign and how many visits it generates. What's tricky here is that both factors are continuously changing. 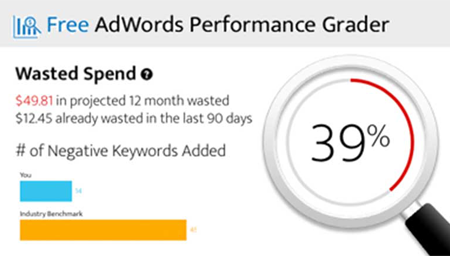 In lieu of periodic, manual rankings, let WordStream rank your keywords and keyword groups with the most relevant data. Sign up now for a Free Trial.